Enapter today revealed its new generation of green hydrogen electrolysers, the EL 2.0. Electrolysers split water into oxygen and hydrogen, a technology that is poised to contribute significantly to greening energy systems globally. “It is Enapter’s first birthday this week, and we are thrilled to present our newest product”, says Chairman Sebastian-Justus Schmidt at the one-year anniversary celebration at Enapter’s Research and Development center in Pisa. “The EL 2.0 is smaller than its predecessor, reduces installation time and overall cost for the customer. It is freely stackable to form any size system from 500L up to 10,000L per hour”. Enapter’s patented Anion Exchange Membrane (AEM) Electrolysers are unique in the market as they are small, flexible, and modular. They are the most cost-effective systems as they don’t require the use of any noble metals. The El 2.0 also comes with a recycling promise with no additional cost. Enapter takes back the electrolyser to showcase the cradle-to-cradle recyclablability. Enapter was founded with a strong vision: a carbon free future in which fossil fuels are no longer used for energy production. 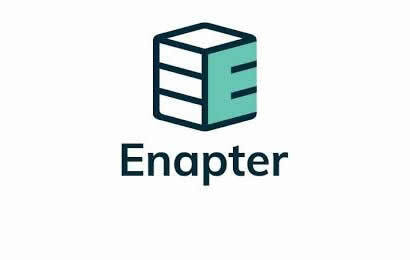 One year later, Enapter delivers the first milestone on the way to this future. Schmidt is convinced: “Hydrogen is key to providing independence, reliability and security for all sectors – power, heat and transport – in any energy system”. Enapter is committed to providing the building blocks of the future of energy. The EL 2.0 thus includes the Enapter Energy Management System (EMS). It transforms multiple-stacked electrolyser modules into one single big electrolyser. It also acts as a foundation to manage complex, hybrid energy systems. Enapter aims to partially open-source its software aiming for it to function as the operating system for a new energy world. Enapter designs and manufactures highly efficient and modular hydrogen generators, using AEM electrolysis. Its core technology has a 10-year proven track record and is the foundation for a unique range of low-cost, compact hydrogen electrolysers. Today, they are already used internationally in the telecommunications, academia, and agricultural and residential fields. The team combines electrochemical and IT expertise to drive the Hydrogen Economy from both hardware and software standpoints. For more information please visit the website www.enapter.com.